If you’ve ever been disappointed by a cake that looked beautiful but tasted like something from the supermarket, you’re in for a wonderful surprise when you taste one of Leanne’s cakes. Leanne Rose is a graduate of the Pastry Arts program at Manhattan’s French Culinary Institute. She has worked in the kitchen at Chanterelle, one of Manhattan’s finest restaurants, as well as with one of the city’s premier private pastry chefs. In 2002, Leanne took her talents to Long Island, where she is fast establishing herself as one of the area’s creative private pastry chefs. What makes Leanne’s work unique is the combination of beautifully executed creative designs with top-quality taste. Before studying at the French Culinary Institute, Leanne focused on the visual arts, earning her undergraduate degree in fashion design and working in the design department at Anne Klein II. After several years in the fashion industry, Leanne realized she could combine her two passions into a satisfying career. 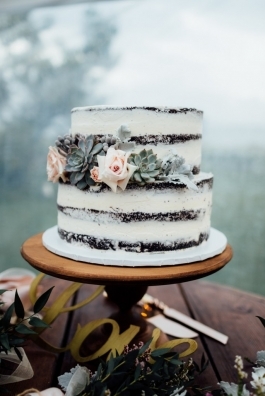 Since then, she has created cakes and pastries ranging from simply elegant to whimsical for weddings, birthdays, baby showers, christenings and countless other special occasions. If you are looking for cakes and pastries that will satisfy your eyes and your taste buds, contact Leanne today.